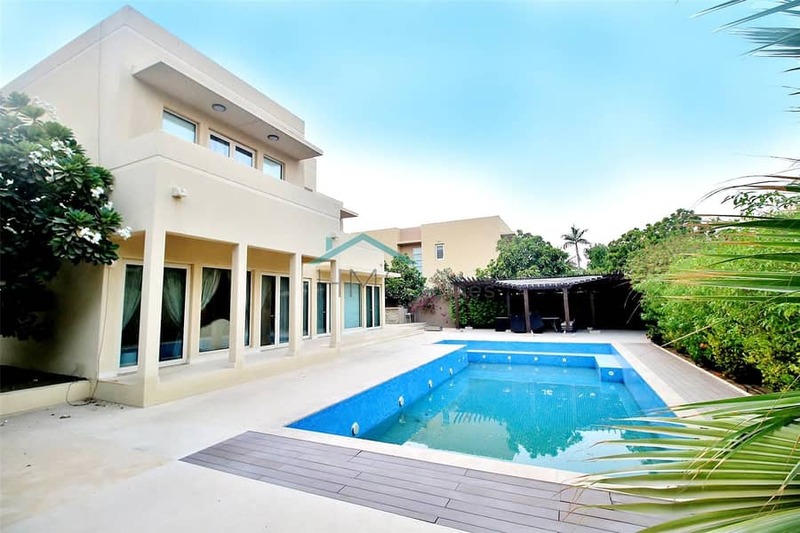 Ideal for a family looking to enjoy the comforts of a large, spacious and well-designed home is this well maintained 5 bedroom villa in the sought after community of Saheel. Standing on a plot of over 9,700 sq. ft. and overlooking the park this villa has been upgraded and comes with a large private pool to enjoy. The ground floor of the property has a large living room adjoining the kitchen which opens into a large family area, spacious kitchen, maids room, utility area, powder room, storage room and a large guest room with an en-suite bathroom. Upstairs you are welcomed by a small landing area, this is connected to a guest bed room with an ensuite bathroom, two guest bedrooms which share a bathroom and a large master bedroom with an ensuite bathroom and a balcony overlooking the park.